Earlier this year Nilufer Erdebil was in Vancouver and came across a shower in her hotel room that lacked something she specializes in – design thinking. Erdebil, who is the CEO of Spring2 Innovation, went on to explain the odd instructions which even included a telephone number in case one needed extra help. Her speech focused on two concepts of design thinking: empathy and reframing. While emphasizing means to look at problems from an end user perspective, reframing is re-examining problems at a human level perspective. This is in fact what her company aims to achieve when they train and coach organizations. “We combine technology and design thinking. So helping other people understand technologies and then helping them understand design thinking so they are actually developing products and services that people are going to end up buying instead of just developing products because they are cool technology,” she explained during a private interview. According to her bio, she has experience in innovation in various fields such as telecommunications, application development, program management and IT Management. She’s a professional engineer and holds a degree in electrical engineering as well as a MBA. After her speech, food and beverages were served during the half-hour intermission as people socialized on the main floor of the Student Commons building. A couple – Lois Brown and Joe Budgell – drove about six hours from Orangeville specifically for the night’s event. “I enjoyed Kathy Reichs’ because I’ve pretty much read all her books,” said Brown. In regards to Erdebil’s topic, Brown said that it involved a bit more thinking in order to truly grasp the message. “She’s really worth more than just half an hour,” she praised. Jennifer Wright also attended the event. She said that she also came for Kathy Reichs as she and her kids are big fans of her show Bones. “This is the first TEDx event I’ve come to so really, I’ve been enjoying it. It’s been really interesting. I like the diversity of the speakers,” said Wright. She also thought that it was interesting that Erdebil’s company, Spring2 Innovation trained people to determine a process from an end user’s perspective. “It’s interesting the way that she posed end user because I didn’t realize it wasn’t intuitive to most businesses,” she added. Sekou Kaba, a speaker from last year’s TEDxOttawa was invited to this year’s event to see how the other speakers do. 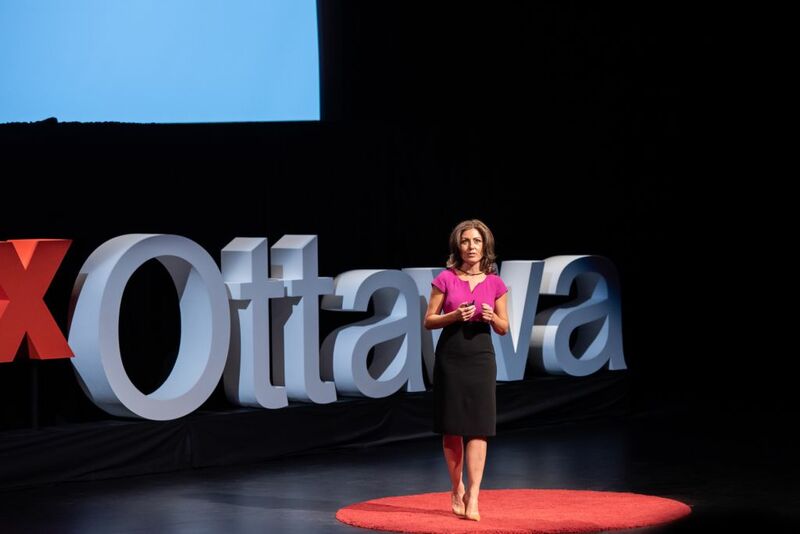 Innovation and empathy go hand in hand: featured speaker at TEDxOttawa Reviewed by Saira Qureshi on October 31, 2018 .